This product was added to our database on Tuesday 29 August 2017. 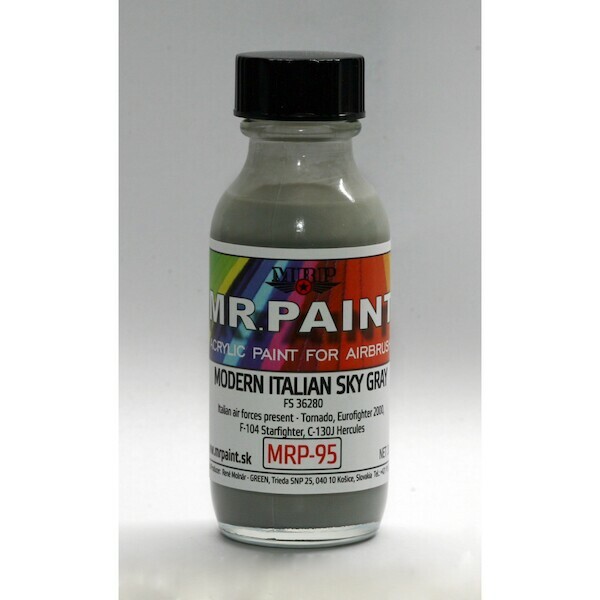 MR PAINT is an acrylic colour designed for spraying with your airbrush. The colour is pre-thinned in preparation for immediate use. In case of further need, we recommend thinning the colour with our own MR. Thinner. The MR.Thinner can also clean your airbrush after use. For cleaning tools / kits we recommend our MR. Cleaner or another cleaner designed for cleaning airbrushes after using acrylic colours.